Transfer your incoming call to anywhere at your command. Transfer incoming call on command. 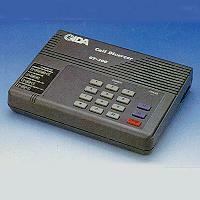 Remote control with id code for changing transfer number 3 ways conference. Remote turn on/off, tone/pulse switchable.